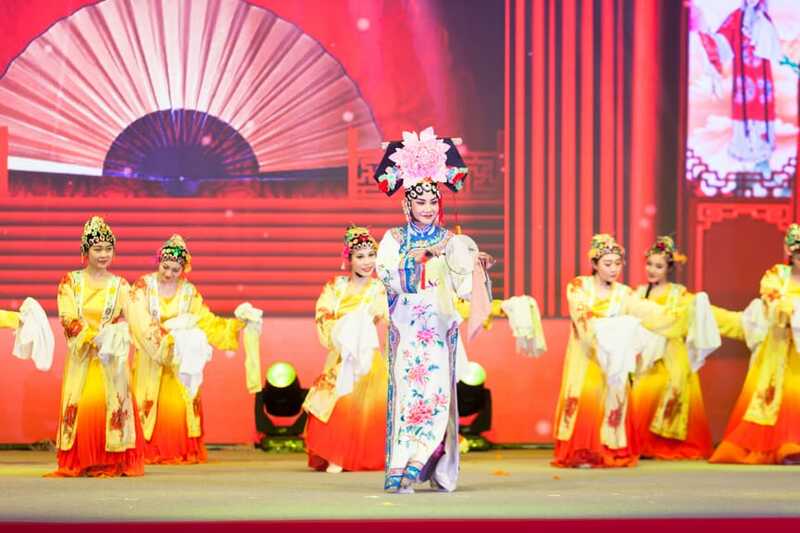 River Hongbao brings out an awe-inspiring display of Chinese cultures and traditions. The word ‘Hongbao’ means Red Pocket, a New Year monetary gift that is believed to bring good luck to children and unmarried adults. 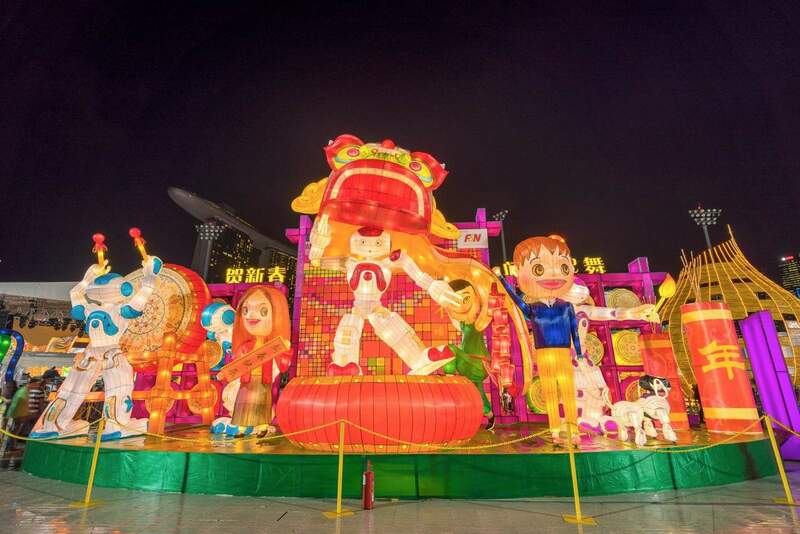 River Hongbao is the leading Lunar Chinese New Year event that draws people from all over the country seeking to experience the fun-filled activities which are celebrated in Marina Bay. There will be fireworks and laser show on every night at 9pm, except on Chinese New Years Eve when they will go off at 12am midnight. I will be flying in to Singapore for the Chinese New Year 2019 celebrations. Please inform me where I can buy tickets to watch the firework shows at Marina Bay and also the dates. 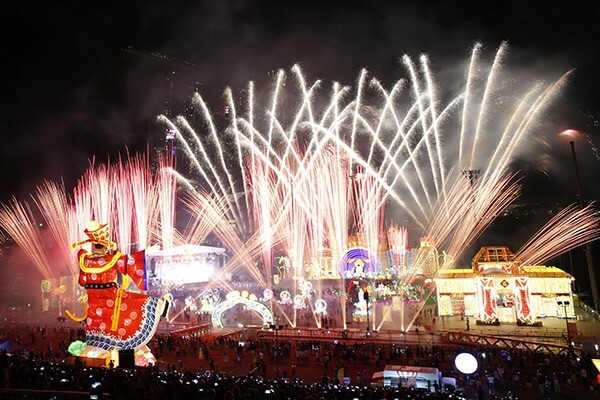 Having reviewed the official websites for River Hongbao and the Chingay Parade, tickets aren’t available at this point. The good news is that in previous years, the tickets do go on sale usually in mid-October and they are available online. All i can suggest is checking back at a later date to see if anything new has been announced. 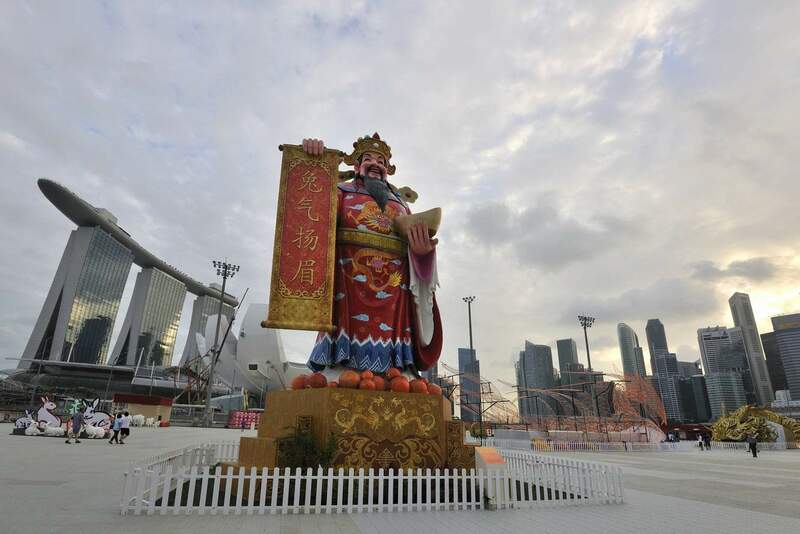 Hi, I am interested to travel to Singapore in occasion on Lunar New Year 2019. Which days the fireworks would be performed ? 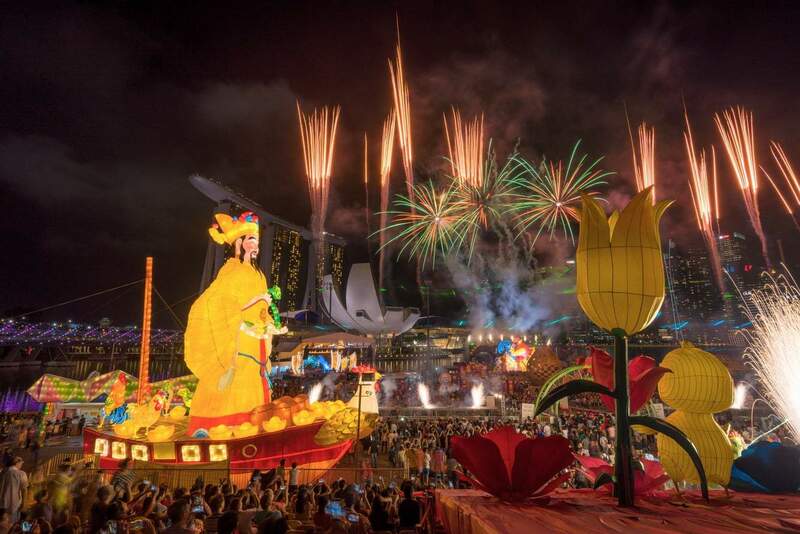 Looking at my Chinese New Year page over at https://www.singaporetravelhub.com/events/chinese-new-year-singapore/, the 2 nights where fireworks is mentions is The Official Light Up and Opening Ceremony (i can’t seem to find any dates for this yet) and Chinese New Year Eve itself on February 4th 2019. No doubt Chinese New Year Eve will be the larger of the 2 events. 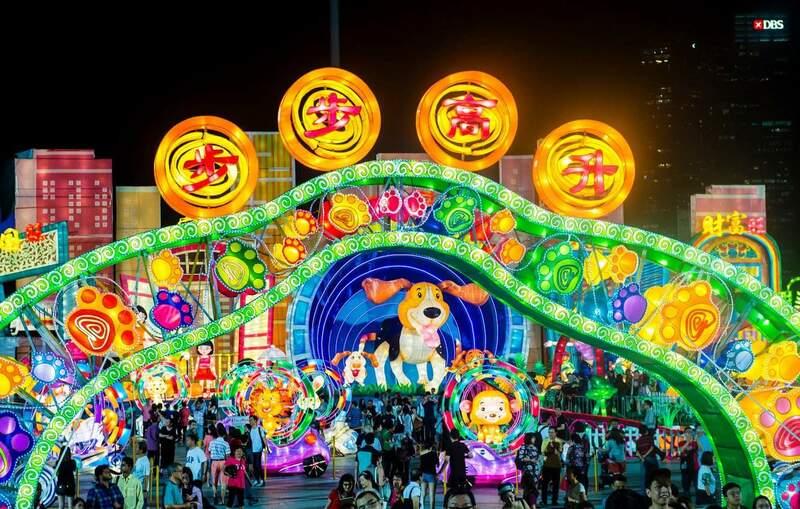 what are the exact dates for chingay parade and hongbao celebrations? for 2019 pkease so I can book accommodation?? 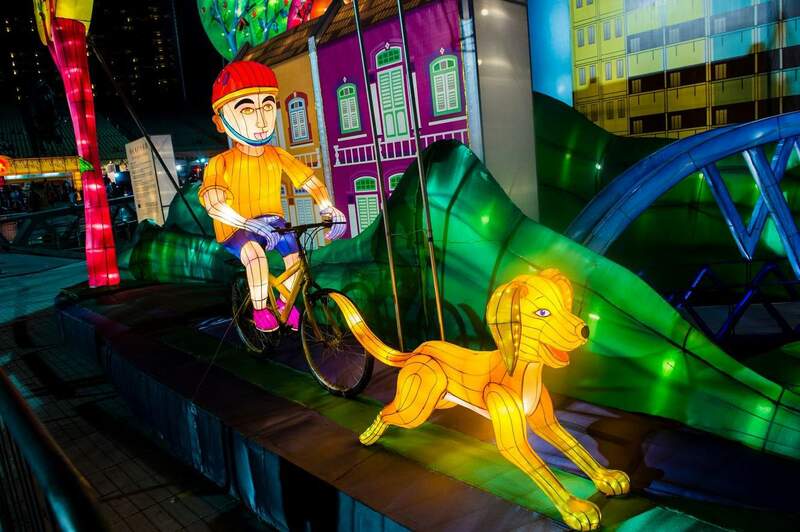 The Chingay Parade is typically held during the first weekend of the Lunar New Year. So for 2019, Chinese New Year will be the 5th of February (a Tuesday). However, the event organisers haven not yet confirmed the parade date for 2019 and whether the parade will fall on the weekend of the 9th and 10th or the week before on the 2nd and 3rd. River Hongbao typically runs for 10 days after the Chingay Parade. any fireworks on 16th Feb? Do you need to get ticketd for River Hongbao or just turn up? Also what events take place actually in Chinatown over the festive period? 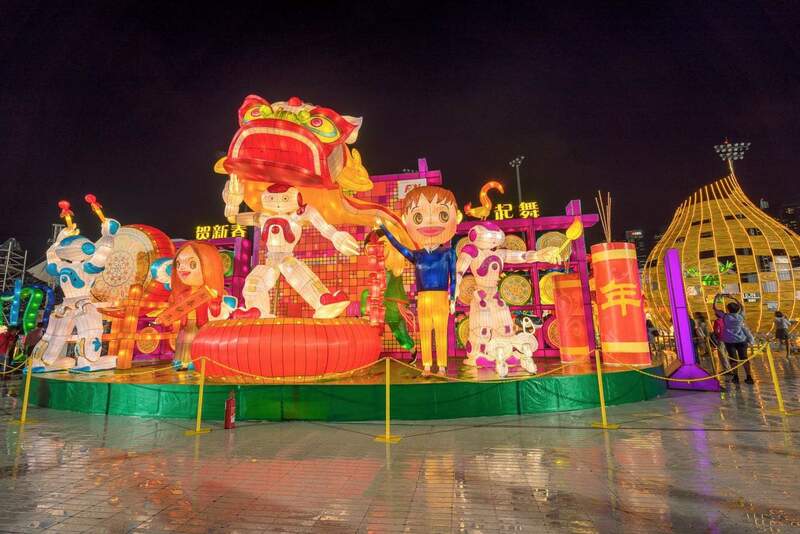 River Hongbao is open to public and admission is free. Please refer to the other event pages on our website for which events are on and at what times. No, not that I am aware of. 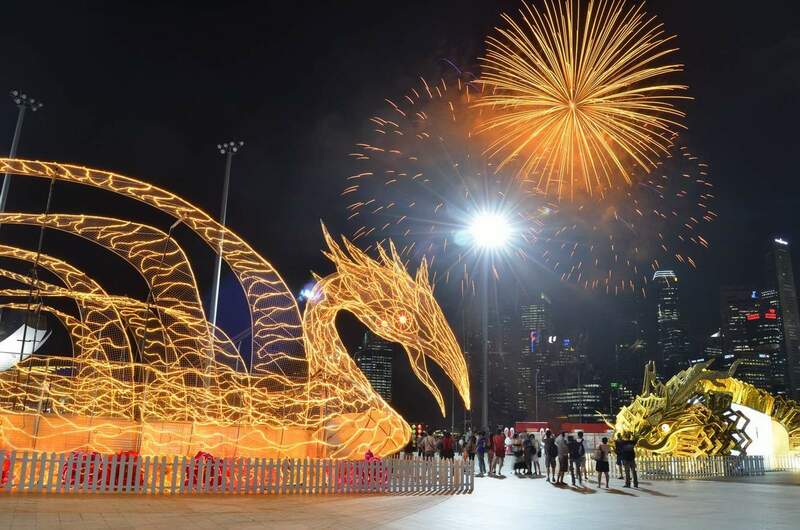 Chinese New Year and fireworks wont be celebrated until February. Unfortunately, the organisers haven’t yet published a program for River Hongbao 2018. Check back with us in a fortnight or so, and I will update the program when it is released. When will be the fireworks display and where? Will be at Singapore on Feb 13 – 18, Hoping to be part of this. River Hongbao will be running between 14 February to 24 February 2018. The program schedule is yet to be confirmed at this stage. Check back with us and I will update our page once more details are released by the organisers. Will be checking this comment section from time to time for your update. 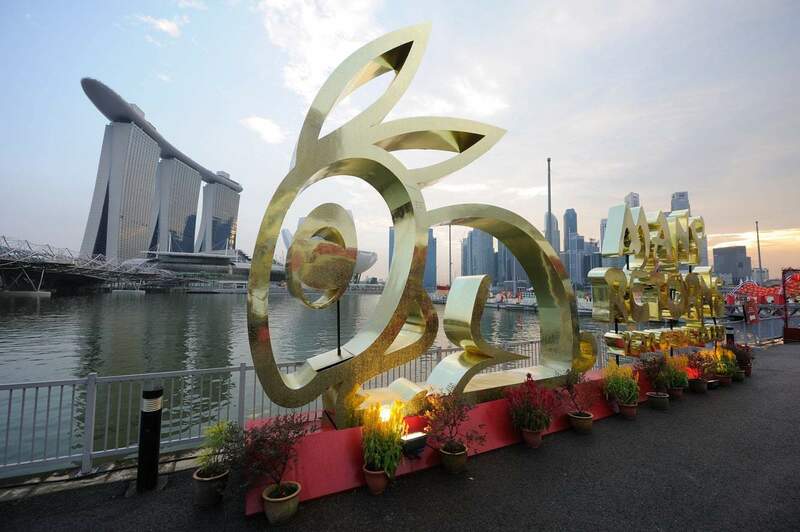 We would want to make the most of our visit and experience Chinese New Year Celebration in Singapore. 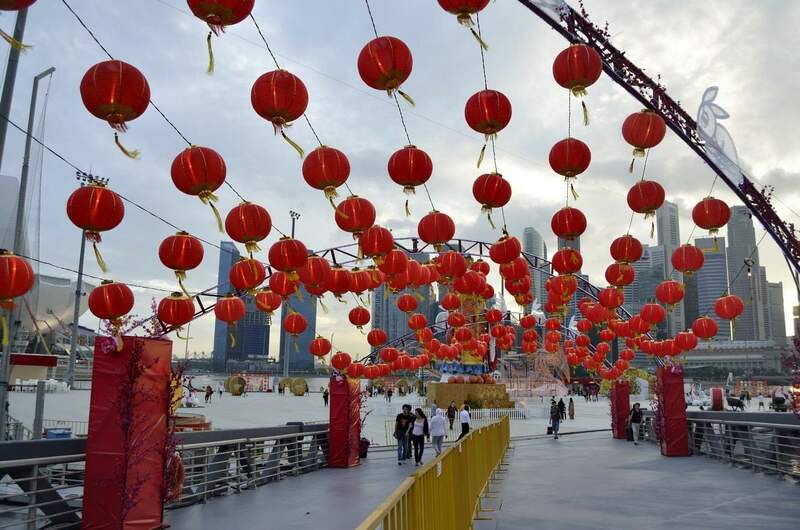 You will be able to view the River Hongbao from around the Marina Bay precinct at no charge. The MRT typically finishes between midnight and 1am, depending on your location. However, these times are typically extended during Chinese New Year until around 1.30am. Hi, May I know when the decorations for the river hongbao be up on display? 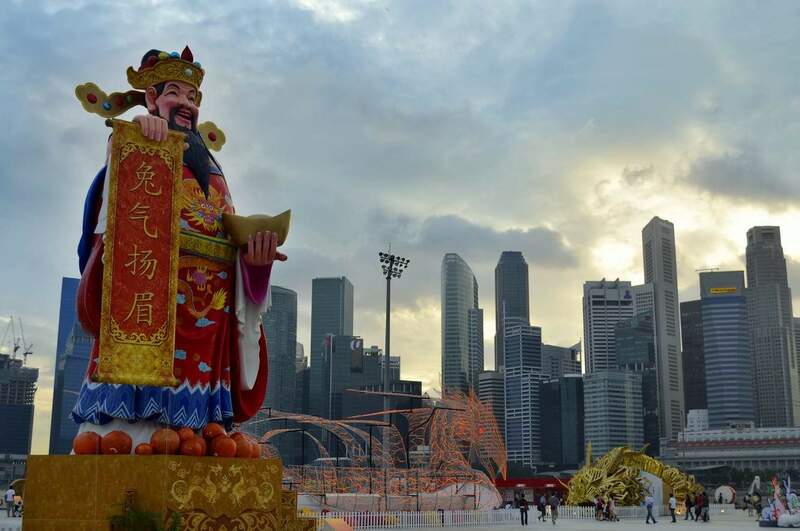 They typically set up the decorations a couple of days before the festival (which is scheduled between 14 February to 24 February 2018). So you can wander past and see the decorations any time around these dates. Is the event schedule until 04 Feb only? Cheers. The River Hongao event runs between 26 January and 4 February 2018. Hi, is the place open even in the morning? Just want to visit and admire the display with a lesser crowd. Most of the festivities occur in the evening as there are parades and performances with light shows and fireworks. You can head down there during the day, but there will be a lot less to see at this time. Hi, is there a firework display on Saturday the 4th of Feb? I see no programs for Harmony night. So was wondering if there will be any firework display tomorrow? Yes, there is a fireworks and laser show on every night at 9pm. May I know which area is most convenient to park my car? Is there any car park there? The Marina Bay Floating Platform is easily accessible by public transport. Visitors and commuters to the area are strongly encouraged to use public transport as traffic congestion will be expected. However if using your car is a must, there is a car park at Marina Bay Sands; a Wilson car park at 12A Bayfront Ave; Golden Shoe carpark at Market St; and SG carpark: UE Square at 83 Clemenceau Ave. Prices are expensive. I hope this helps and you enjoy your time at River Hongbao in 2017! What is program for 30/31 January or 1 February? The program for River Hongbao has just been released. 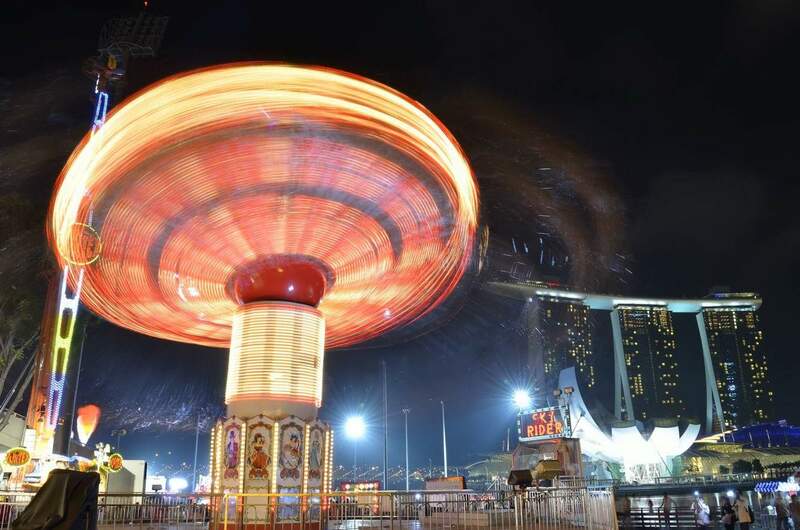 The Fireworks and laser show will be on nightly at 9pm, except for CNY Eve (27 Jan) when it will be held at midnight. The lanterns, stalls, handicrafts, rides and food will be the same each day, but varied musical and cultural performances occurring at night. 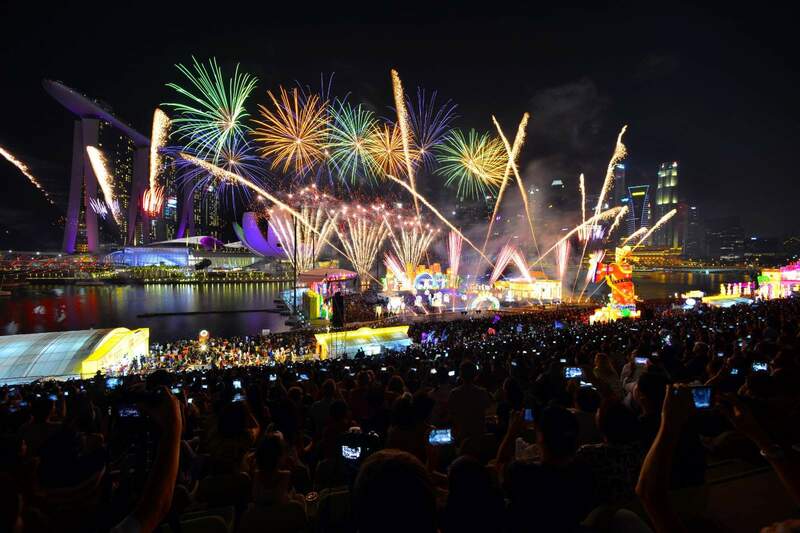 Hi, any fireworks for 2017 River Hong Bao? 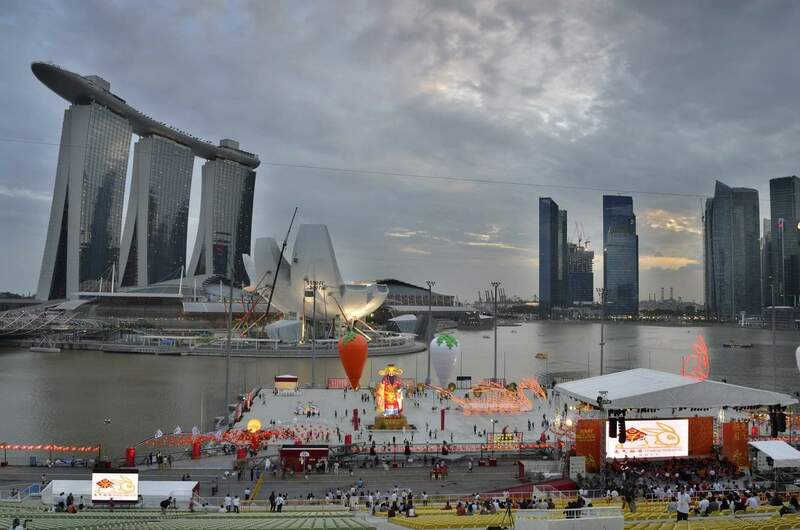 We are still waiting for the program schedule for River Hongbao to be released by the organisers. In 2016, there were fireworks every night, so I am hoping for the same again in 2017. Check back with us. The Chinatown Chinese New Year Countdown Party will be held on the 27 January 2017 from 9.30pm – 12.30am at New Bridge Road and Eu Tong Sen Street. You will find fireworks and a huge party atmosphere here. How many participants are there for this event yearly? This is hard to say, but there are typically hundreds of people participating in the River Hongbao each year. In 2017, I would also expect thousands of people to attend to watch the festival.